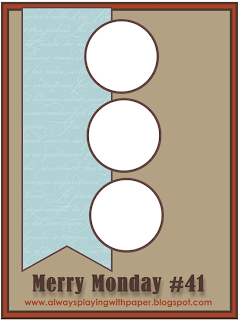 This is the card I entered for the Merry Monday Challenge at Always Playing With Paper. The challenge was to use this sketch and make a Christmas Card. 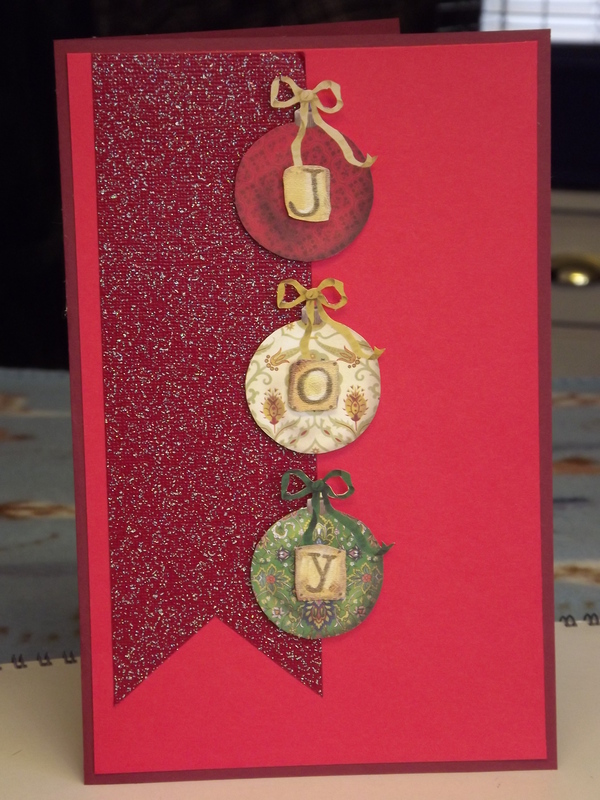 Love the clean look of your card Correna, the ornaments are very pretty. Thank you for joining us for Merry Monday this week. Thank you so much. I enjoy do the challenges, I am new at them, but finding I really like the opportunity to do some creative with my cards. Have a great day and thanks for commenting. Such a festive and pretty card! Thanks for joining us at Merry Monday! Thanks, it was fun and new to me, but I really enjoy doing these and will keep joining whenever I can. Have a great day and thanks for stopping by. What a sweet card….love your “joy:! Thanks for playing with the Merry Monday this week! Oh, thank you so much. It is a favorite word of mine for Christmas and to me it is the attitude of joy that is so wonderful during this time of year. Thanks for stopping by. Have a great day! Pretty ornaments Correna! Thanks for sharing them with us at Merry Monday! You are most welcome, and thank you for stopping by and commenting. I really enjoyed doing this card for the challenge, I have never made just a simple card like this before but the guidelines for the challenges are eyeopeing for what different cards can be made, Love it. Thanks again for your comment.